We invite you to support the Science Center in the way that is most meaningful to you. Your gift of any size can make a big impact on our ability to continue supporting science literacy in the St. Louis region. 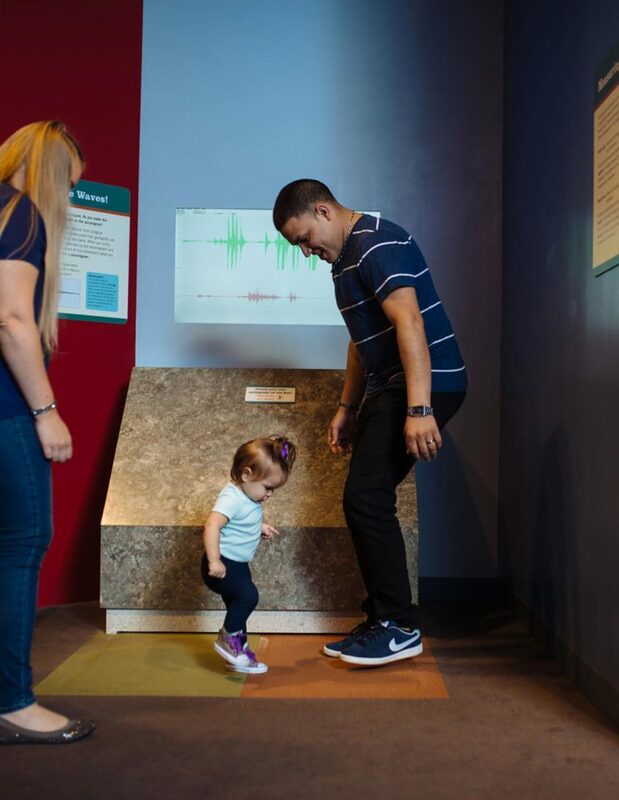 Your support helps us continue creating new exhibits and interactive experiences that challenge curious minds and allow everyone to discover together. You help us develop innovative educational programs that encourage young people to explore, create, and share their ideas. We want to continue inspiring a passion for science and technology learning in people of all ages and backgrounds – to ignite a lifetime of learning and discovery. General unrestricted support allows us to continue creating new exhibits and interactive experiences, develop youth and adult educational programs, community outreach programs, field trip packages and educator resources. Your gift helps us connect curious minds to science and technology learning. For over twenty years, Our Youth Exploring Science (YES) program has, worked with at risk teens throughout their high school years to increase interest in science, technology, engineering, art and mathematics (STEAM). 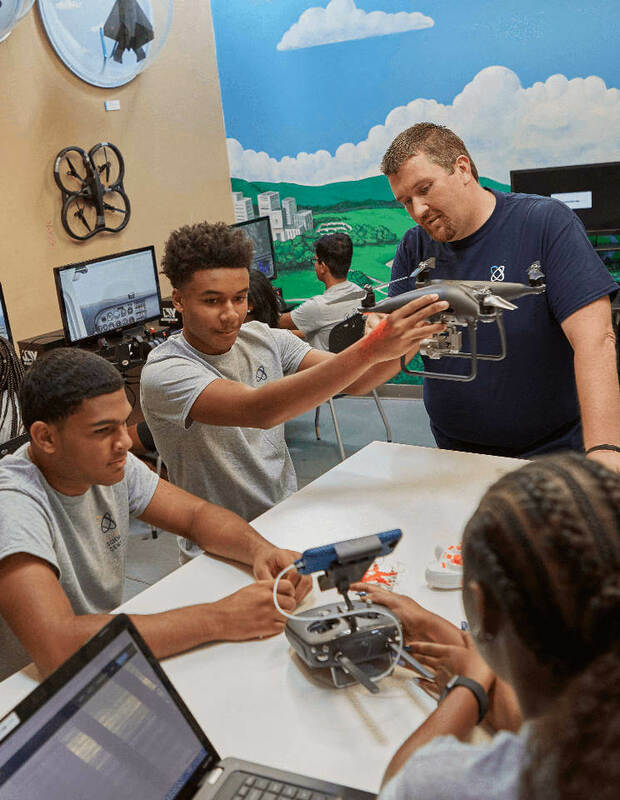 The YES Teens work with our educators and STEAM professionals in the community to gain professional, academic and real-world skills that assist in building self-confidence and personal success. We work with community-based organizations who are committed to serving low-income families throughout the St. Louis area to recruit YES Teens. Once recruited, the teens will work directly with these organizations and our community partners to help facilitate science events and activities. The YES program invites everyone to help create a more connected world through the power of teaching, mentoring and volunteering. Many of our YES program Alumni return to volunteer and inspire the next generation of YES Teens to discover their own genius. Learn more about the YES program. In 2010, the Science Center embarked on the Bridge to the Future Campaign to support new and renewed facilities, exhibits and expanded education programs supporting science, technology, engineering, art and mathematics (STEAM). We have raised over $55 million dollars thanks to you, our generous donors, members and partners throughout the community. The Campaign has funded over 110,000 square feet of new space and 64,00 square feet of newly created and renovated exhibits including GROW, our exhibit space Boeing Hall, the Makerspace gallery and more. We have expanded our STEAM educational programs to ensure our region is prepared to lead in a global economy driven by science and technology. Your tax-deductible gift will help us achieve our $60 million-dollar goal. 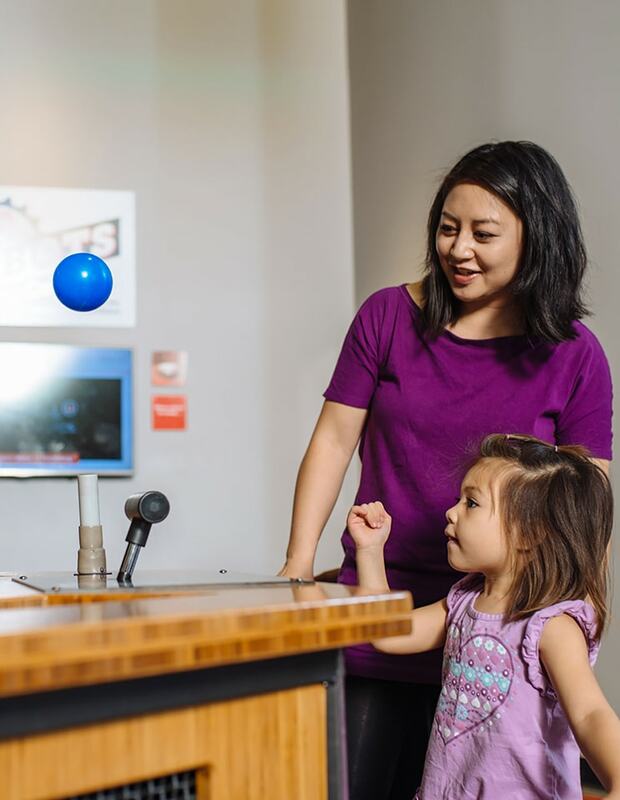 When you support the Science Center’s Bridge to the Future Campaign, your generous gift makes the difference as we begin the next phase of the Campaign to transform the guest experience, introduce new technologies and celebrate the scientific and technological legacy of the St. Louis community. Your support makes a lasting impact by bringing a new century of science and technology learning to our region now and into the future. Make a gift to Bridge to the Future. Each summer the Science Center offers Science Blast Day Camps. These camps provide children aged 4-16 an opportunity to explore, create and discover science and technology in innovative and unique ways. Camps are led by highly trained counselors and educators who are passionate about teaching the next generation of scientists, engineers, innovators and mathematicians. We want to make our camps available to all children regardless of their backgrounds, and to do this we provide a limited number of need-based scholarships to our campers. Your support could provide a child with the opportunity to explore subjects from dinosaurs to aerospace. Your gift could help spark a million questions in a child’s mind leading to a lifetime of discoveries. 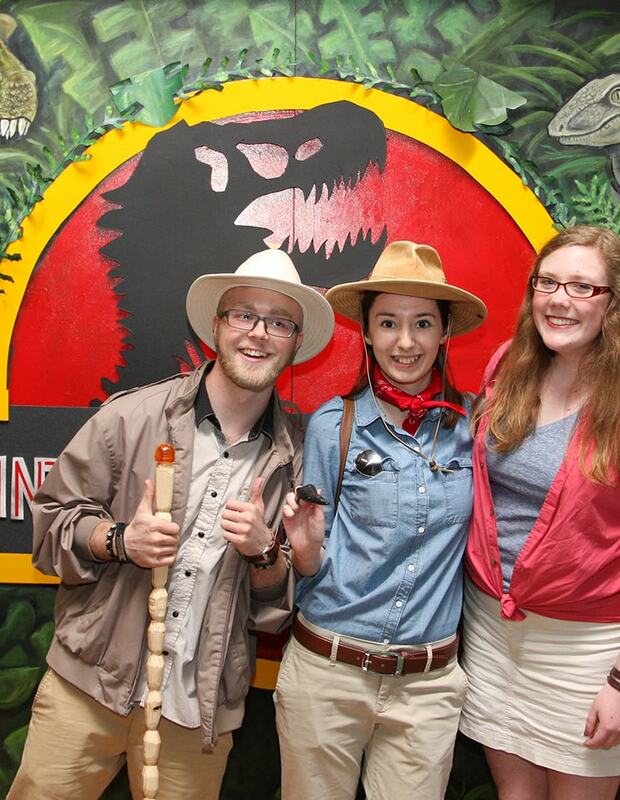 Support the Saint Louis Science Center Foundation by using Amazon Smile! Visit smile.amazon.com (the same Amazon you know), and select the ‘Saint Louis Science Center Foundation’ as the charitable organization of your choosing. Then, do your shopping like normal! Amazon donates 0.5% of the price of your eligible AmazonSmile purchases to the charitable organization of your choice. Same products, same prices, same service. Support the Saint Louis Science Center by starting your shopping at smile.amazon.com. Drink Prairie Farms and Give What Mooves You! Support the Saint Louis Science Center by drinking Prairie Farms Milk or Iced Coffee and saving your caps. Peel off the Prairie Farms cap sticker to reveal a unique redeemable code. 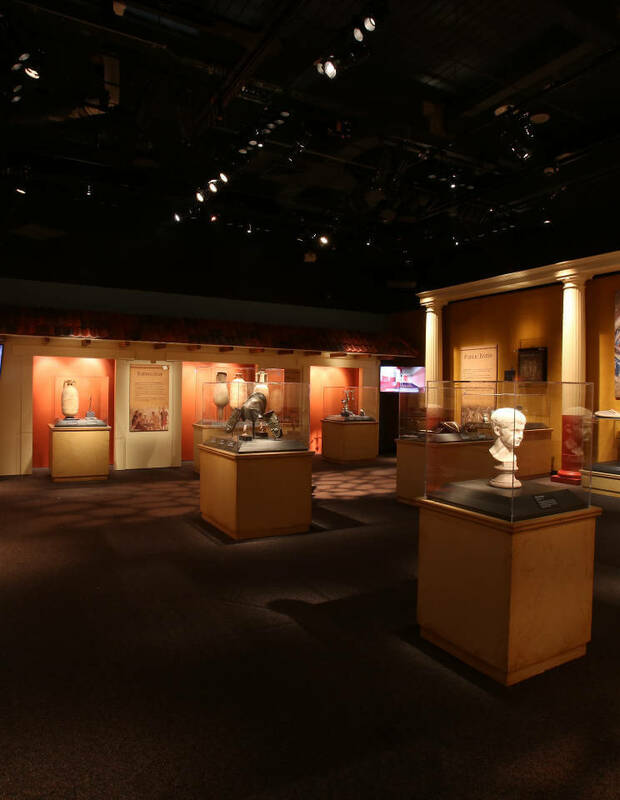 From the drop-down menu, select category = Arts & Culture, organization = Saint Louis Science Center. Enter your codes (up to 10 at a time). Your points are now awarded to the Saint Louis Science Center!